We think you will not better this ration. 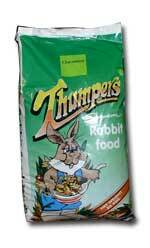 The most popular of our Coarse Mixes, the sales of Thumpers have increased dramatically since we introduced it some 12 years ago. We have managed to attain a really good mixture, without using coloured extrusions, and have included cooked and flaked peas, beans and maize, along with dried carrot flakes, to make a mix which really appeals  both to customer and rabbit! Our very palatable Cereal Rabbit pellets 402 are included to carry the necessary Vitamins, Minerals and Trace elements and Locust Beans and a few whole Sunflower seeds are added for that extra treat. The most popular of our Coarse Mixes, the sales of Thumpers® Molassed have increased dramatically since we introduced it some 12 years ago. We have managed to attain a really good mixture, without using coloured extrusions, and have included cooked and flaked peas, beans and maize, along with dried carrot flakes, to make a mix which really appeals  both to customer and rabbit! Our very palatable Cereal Rabbit pellets 402 are included to carry the necessary Vitamins, Minerals and Trace elements and Locust Beans and a few whole Sunflower seeds are added for that extra treat. This ration contains added Vitamin C, so necessary for healthy Guinea Pigs. 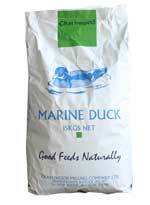 It is based very much on our popular Thumpers mix with added protein, oil, and contains Hi C Vitamin pellets with minerals and fibre. This ration contains added Vitamin C, so necessary for healthy Guinea Pigs. We use a variety of oils in this diet which aid fertility and milk production, ensuring early growth rates in young Guinea Pigs. Suitable for both breeding sows and pets. 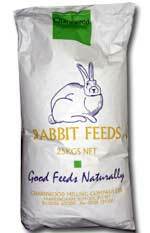 A lower protein, lower energy, lower vitamin ration ideal for maintaining pet rabbits, or alternatively as a base for home mixes and/or coarse rations. 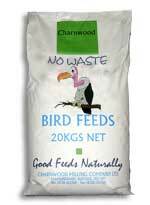 We do not recommend this ration for commercial breeding or growing enterprises. 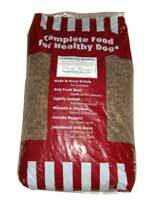 A High Quality Mix for pets. 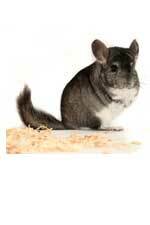 A nutritious, balanced and extremely palatable mix suitable for all small rodents  this feed contains 16 different ingredients, all chosen specifically to ensure peak health & condition.